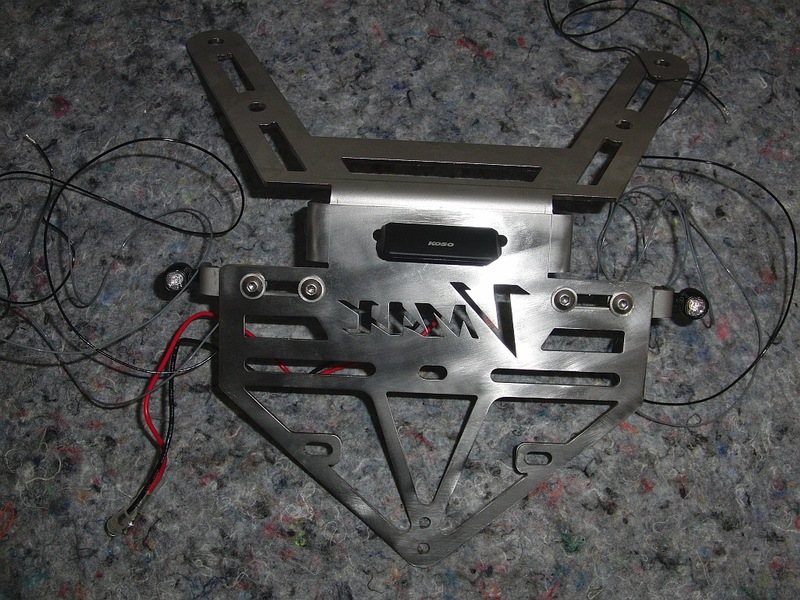 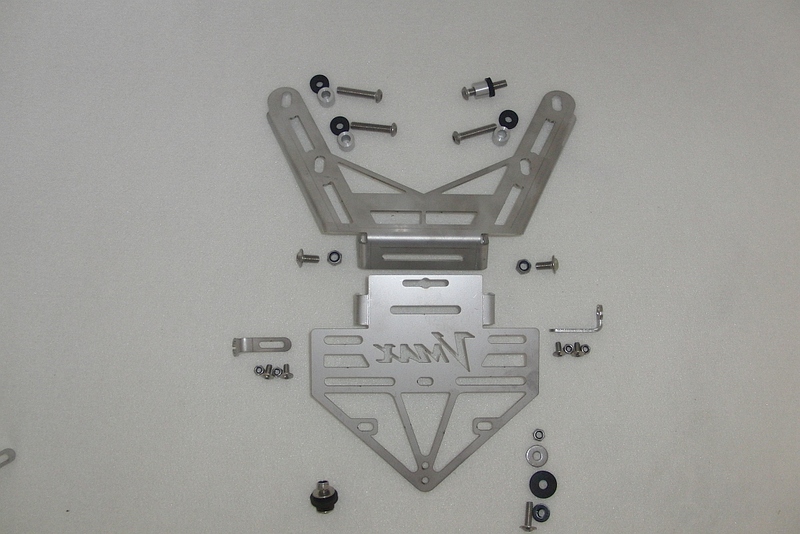 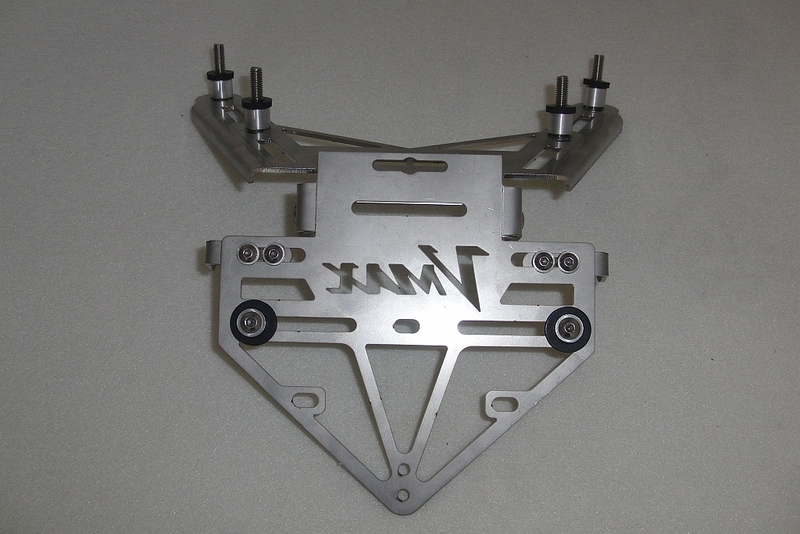 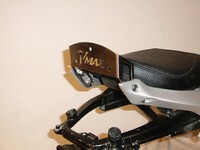 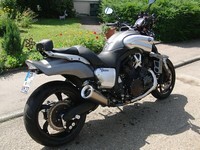 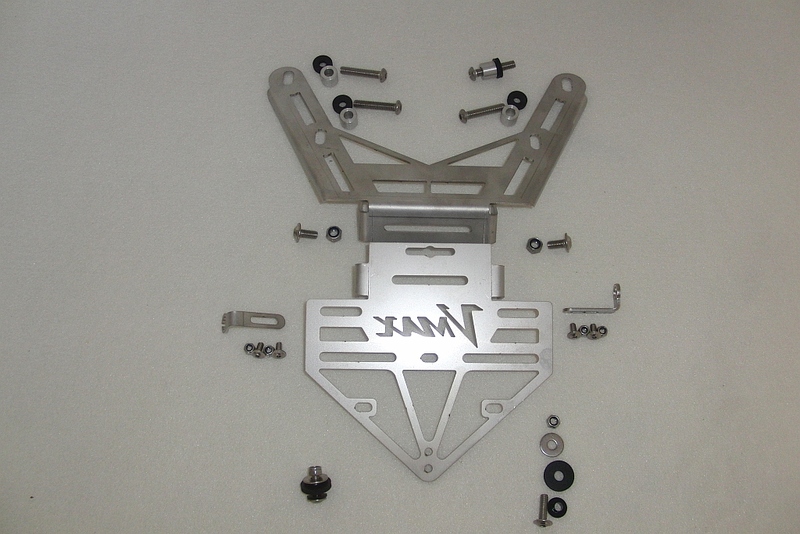 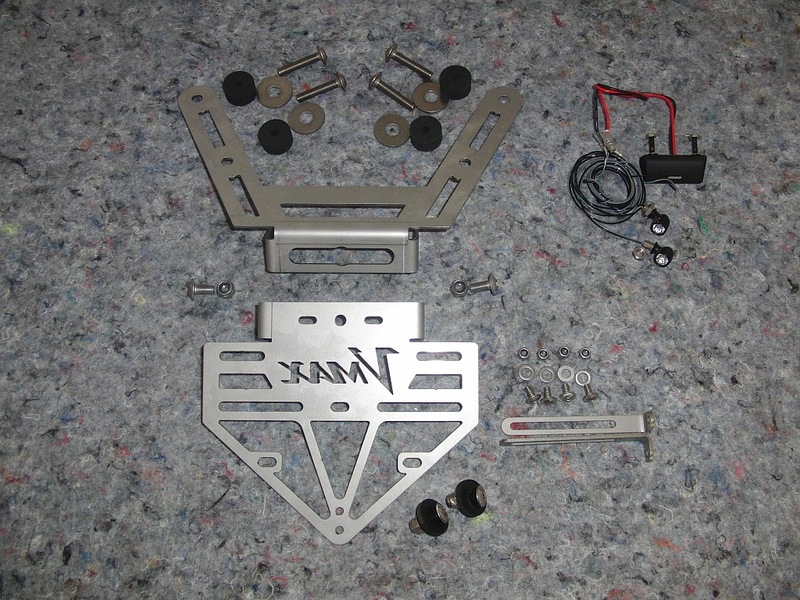 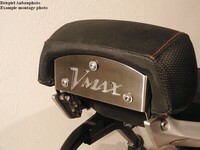 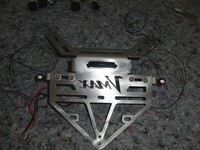 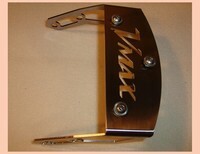 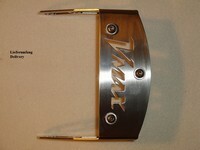 License plate holder for YamahaVmax 1700. 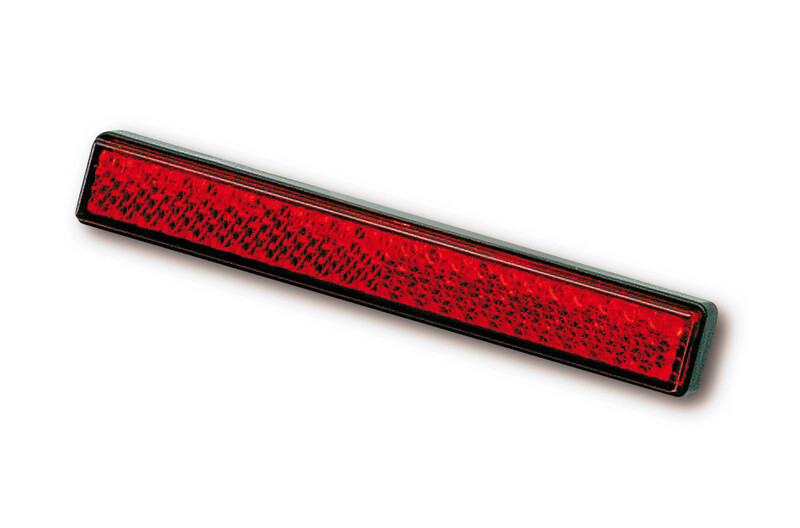 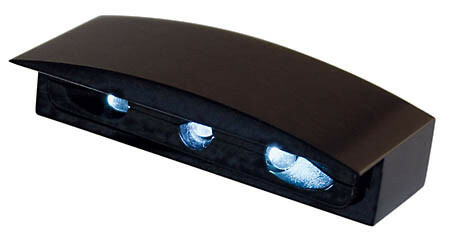 Includit Kellermann Atto Mini Indicator with parallel power resistors, Reflector and Micro LED License plate light. 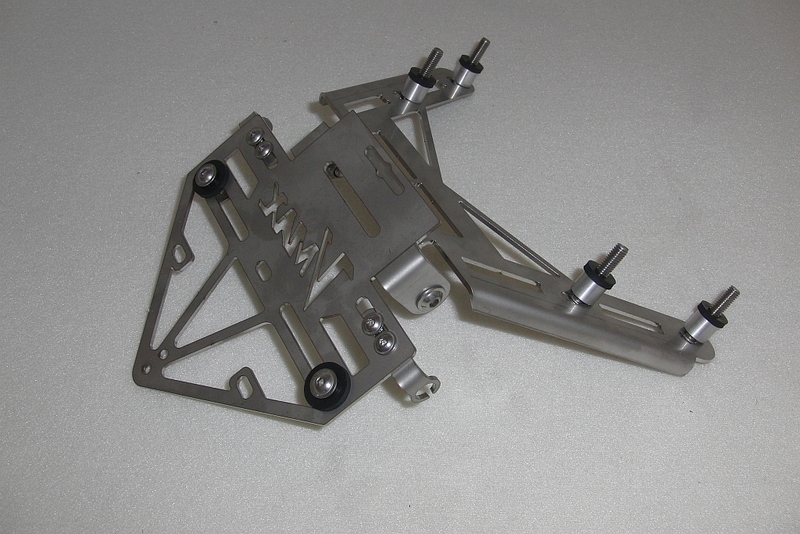 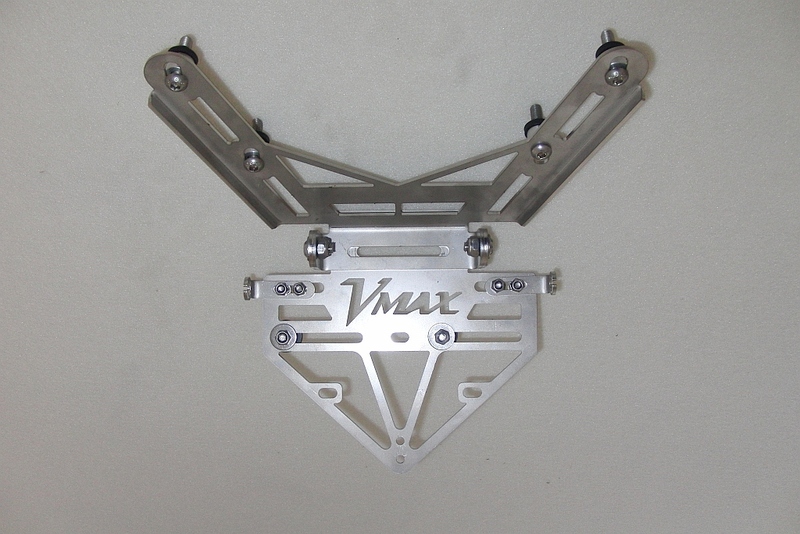 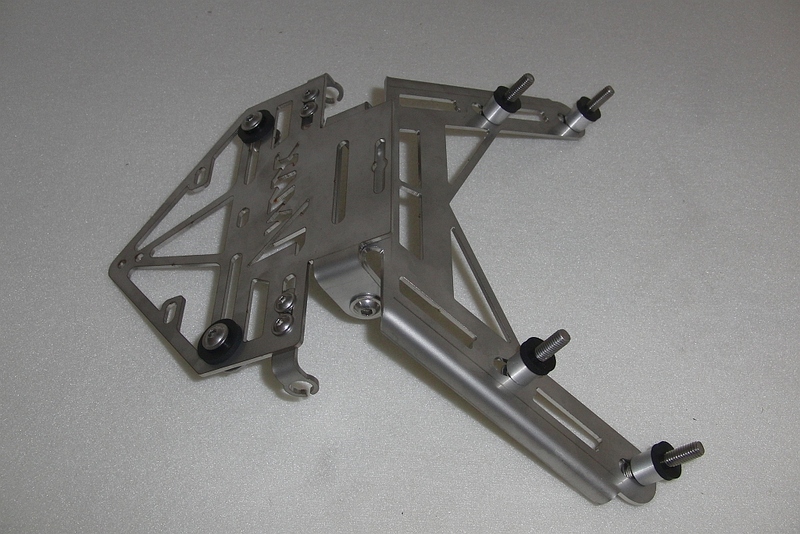 This high-quality stainless steel license plate holder fits perfectly with the Vmax. 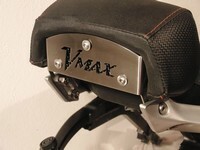 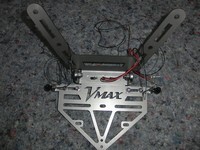 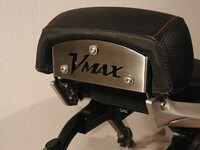 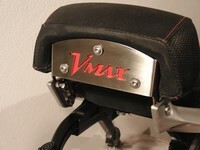 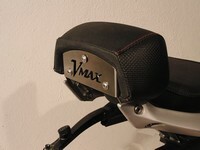 The Vmax logo gives the license plate holder the unique touch. 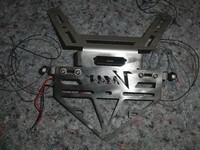 The license plate holder can be moved ca. 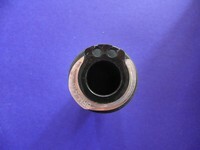 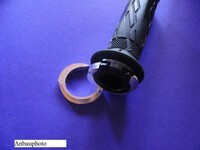 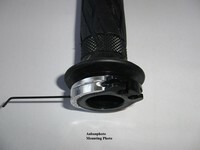 20 mm in length to the vehicle. 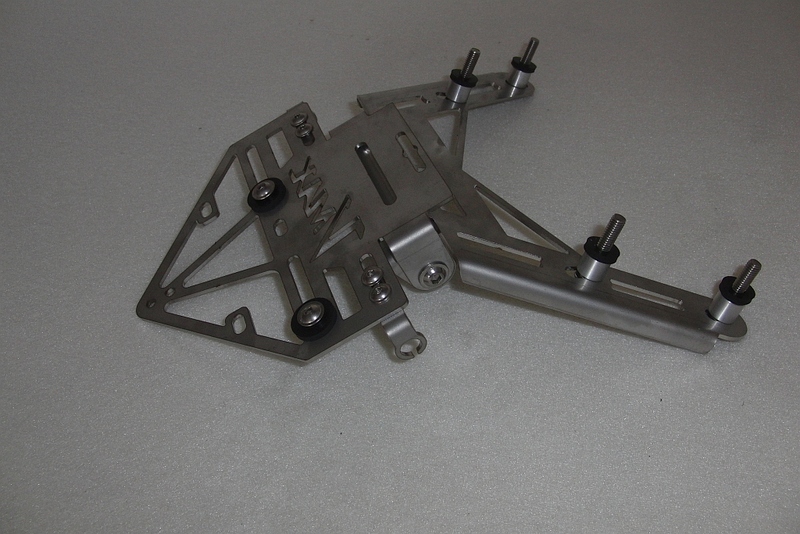 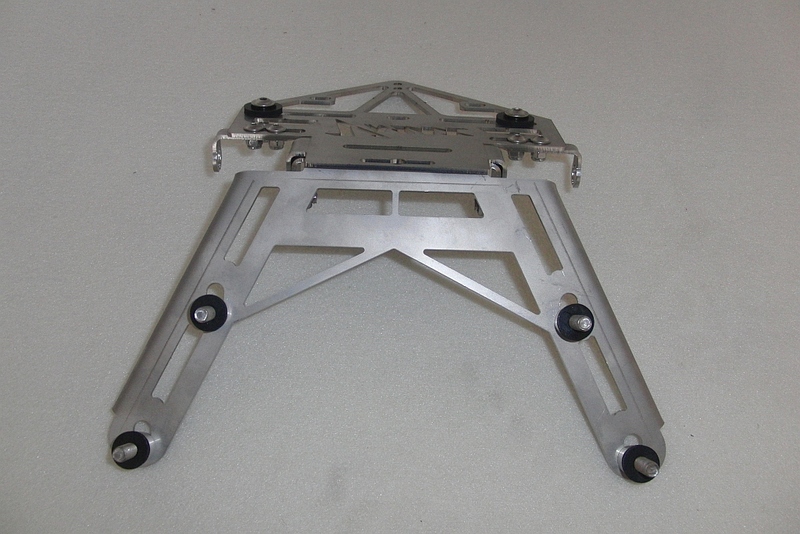 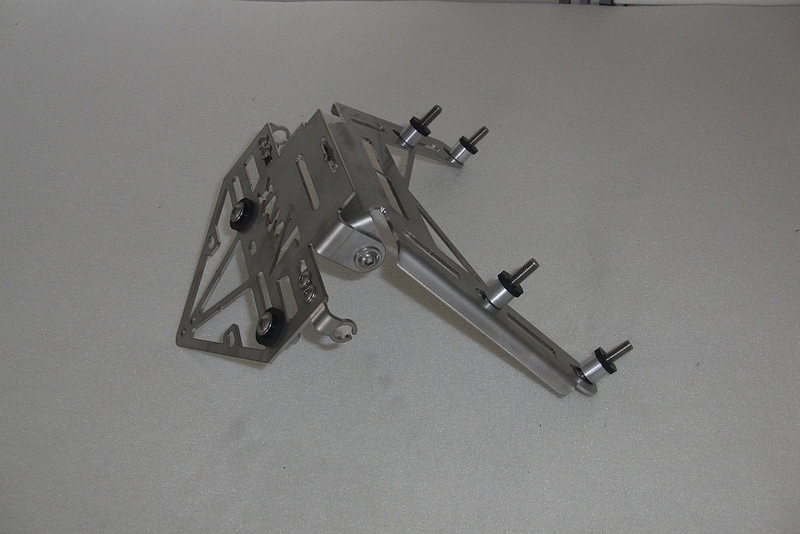 The angle of inclination is widely adjustable. 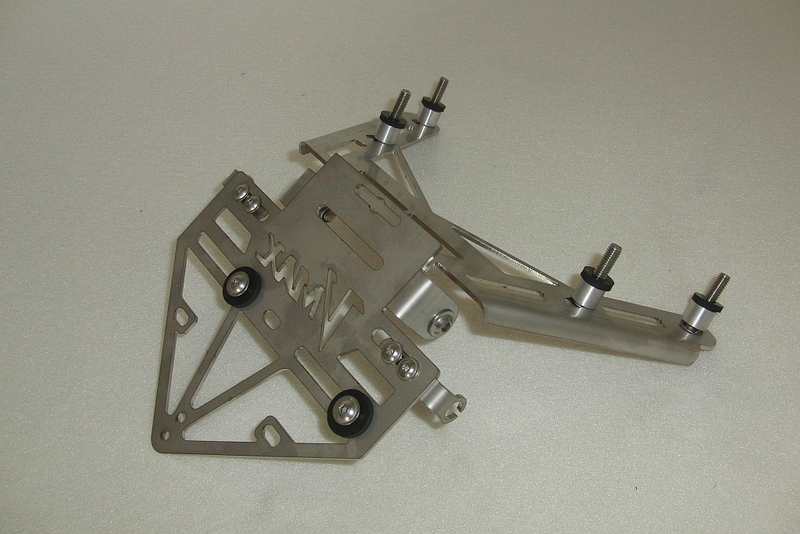 Regulation within the EU is maximum 30 ° angle of inclination. 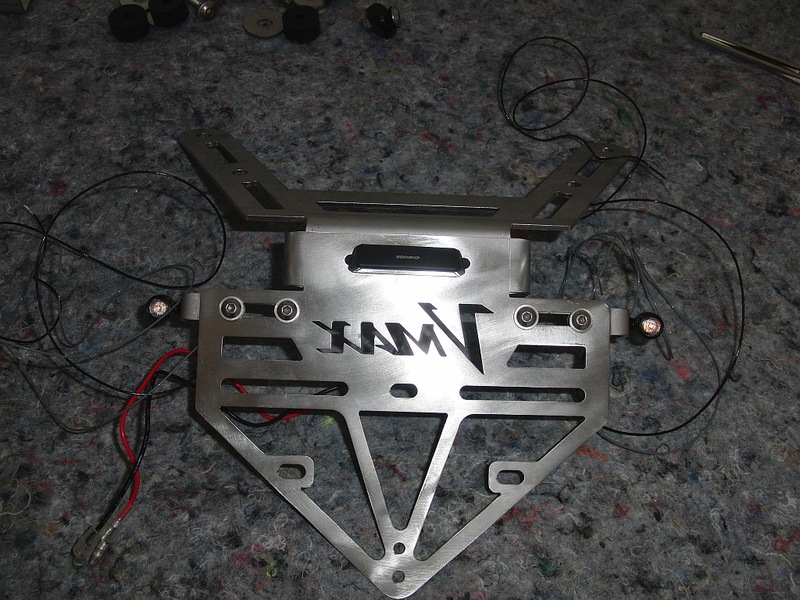 Ready to mount including license plate light, reflector and Kellermann Atto turn signal yellow with clear glass or for an extra charge of 10.- € with tinted glass. 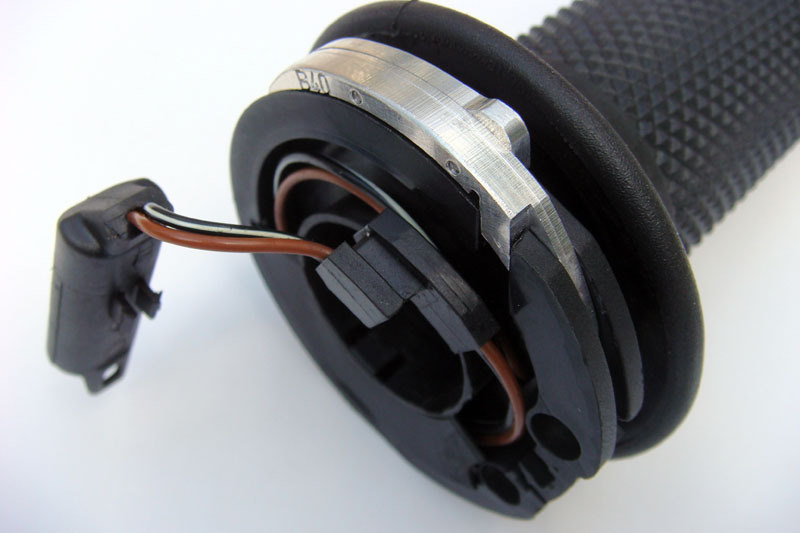 By modification with LED Indicator need you power resistors. 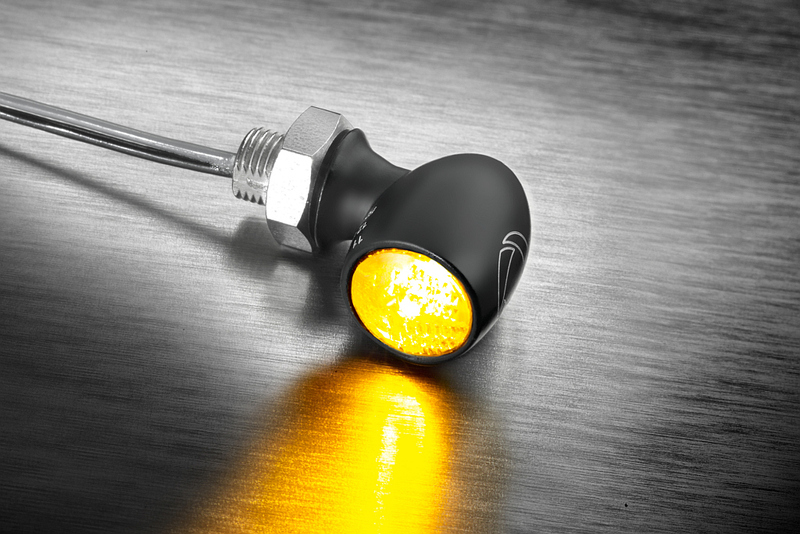 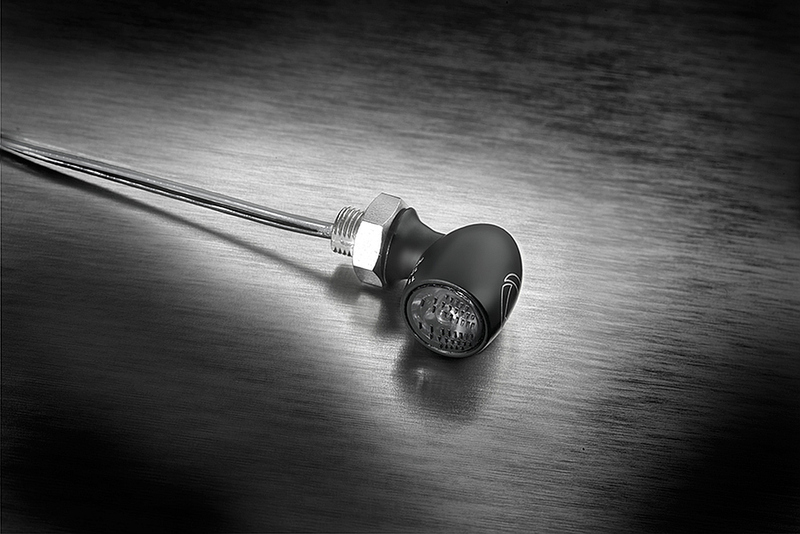 Deliverycontent: License holder, Kellermann Atto Indicator with resitors, License Light, Reflector, Fastening.